Want to make a birthday even happier? Send a dozen beautiful pink roses to that special someone, and they'll have the happiest day ever. 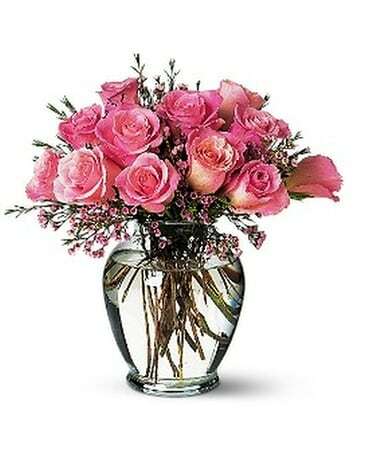 Twelve pink roses with waxflower are delivered in a clear glass vase.